Democratic Texas Rep. Beto O’Rourke has been removed from a list of politicians who pledged not to accept fossil fuel money after a report found he had, in fact, accepted campaign cash from oil and gas executives. The outgoing congressman — who became a darling of the left during his failed bid to unseat GOP Texas Sen. Ted Cruz — originally vowed not to accept high-dollar donations from fossil fuel companies during the 2018 midterms, joining a growing chorus of Democratic lawmakers who are hostile to traditional energy producers. The rising Democratic star signed his name onto a “No Fossil Fuel Money Pledge” in late April, David Turnbull, Oil Change USA’s strategic communications director, told Sludge. However, a Sludge report released earlier in December found the Democrat did accept campaign donations from fossil fuel interests — a lot of them. O’Rourke received a total of $430,000 from executives working on the oil and gas sector, the report states. On top of that, there was no indication he returned 29 different “large donations” that consisted of contributions of $200 or more from fossil fuel executives. The large donations were a direct violation of the pledge. In the wake of the report, Oil Change USA, the nonprofit organization behind the “No Fossil Fuel Money Pledge,” removed O’Rourke’s name from its list. It’s not immediately clear what O’Rourke plans to do about the issue. Turnbull pointed toward a misunderstanding on the part of O’Rourke’s team. The Texas Democrat might have not understood the pledge didn’t just include fossil fuel PACs, but also executives. A spokesman for the Sunrise Movement, a left-wing environmental group, also indicated O’Rourke might have been confused about the specifics of the pledge. 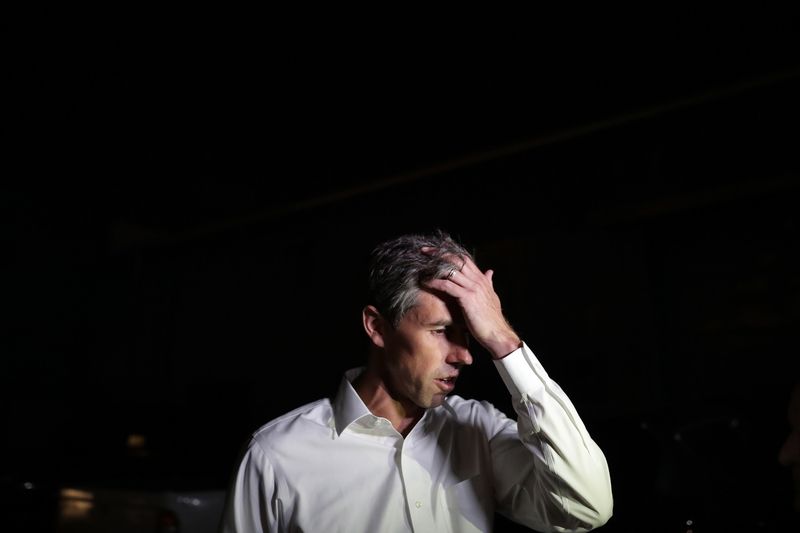 Despite losing his Senate bid, and nearly squandering all of his record-breaking campaign cash, O’Rourke is viewed as a top contender for the 2020 Democratic presidential nomination. O’Rourke’s office did not immediately respond to The Daily Caller News Foundation’s request for comment.